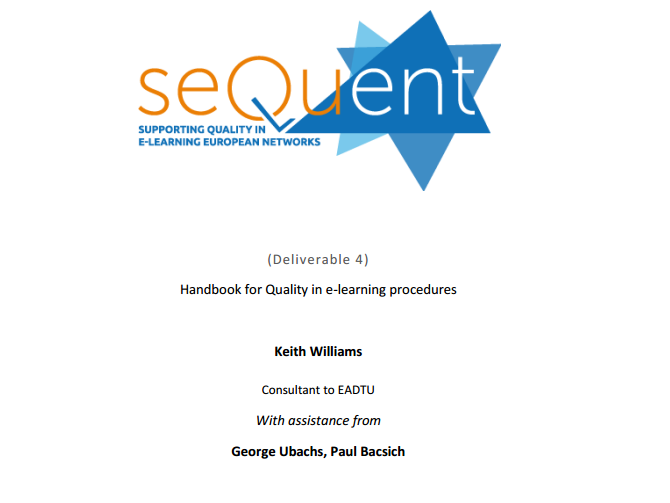 Webinar 1 Chapter 1 & 4 – Strategic management & course delivery of the E-xcellence manual. On the 9th of March EADTU/Darco Jansen held a presentation at the Jozef Stefan Institute in Ljublana called "Institutional Strategies in Online and Open Education". It is a must-read for any person concerned with quality in online, open and flexible higher education. Mapstone S (Ed) Buttendijk S. & Wiberg E (2014) Online learning at research intensive universities. LERU Advisory paper no 16, June 2014. NAHE [Swedish National Agency for Higher Education/ Högskoleverket] (2008) E-learning quality. 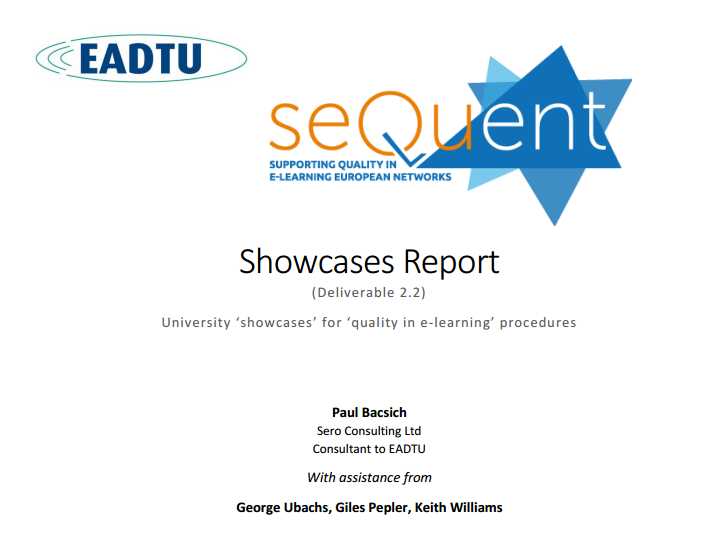 Aspects and criteria for evaluation of e-learning in Higher Education. Högskoleverkets rapportserie 2008:11R. Solna: Högskoleverket. NVAO (2014) MOOCs and online Higher Education. A Survey. The Accreditation Organisation of the Netherlands and Flanders (NVAO). Ossiannilsson E (2012) Benchmarking e-learning in Higher Education: lessons learned from international projects. Doctoral dissertation, University of Oulu Graduate School; University of Oulu, Faculty of Technology, Department of Industrial Engineering and Management, University of Oulu, Finland. 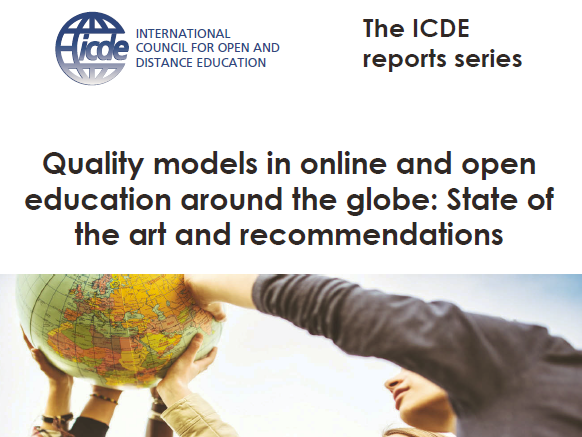 Uvalić-Trumbić S & Sir Daniel J (Eds) (2014) A guide to quality in post-traditional online Higher Education. Mountain Views: Academic Partnerships .